In between my first and second years of graduate school, I did a summer stint as a Research Associate for The Conservation Fund. 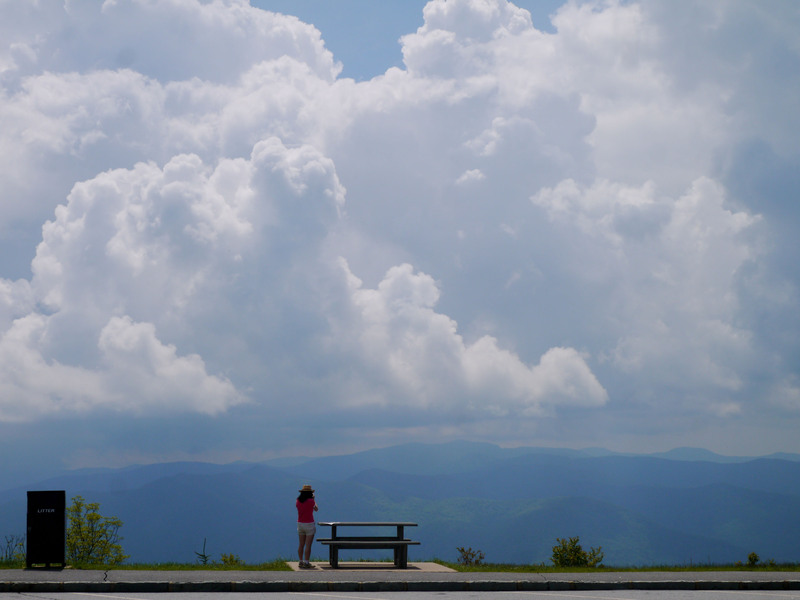 My assignment was to investigate the economic benefits of public land along the Blue Ridge Parkway, and I spent hours and hours giving out surveys to visitors at Waterrock Knob. I can honestly say it was one of the most beautiful places I have ever been. The mountains stretched far into the distance, layering atop each other and glowing a gorgeous blue. On the afternoon pictured below, storm clouds rolled in to create an even more dramatic skyline.